The T347AQX screw cap incorporates a pierceable septum made of chemically resistant PTFE on the outside and silicone on the inside, both components being stable over a broad range of temperatures. The septum also acts as a silicone O-ring for better sample protection. 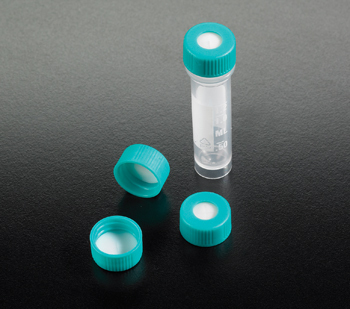 It is especially made to fit and be used with all Simport Microcentrifuge Tubes. The cap is pierceable with pipet tips as well as with syringe needles.